Criquet’s Players Shirt is a polo-style throwback that keeps things care free while staying sharp. 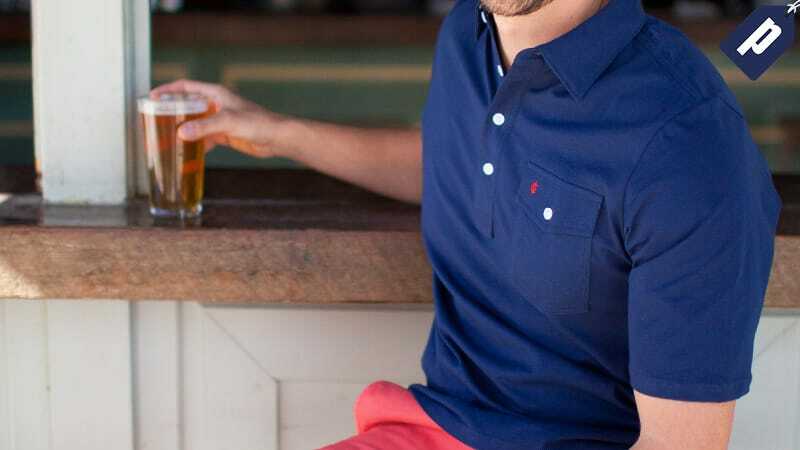 Save 25% on this go-to summer shirt and grab one for $56 with promo code SUMMER25 (valid site-wide on first purchase), plus free shipping. They also make a great Father’s Day gift (ahem: June, 19th). The Players Shirt is a vintage design that counters the new wave of one-dimensional polo shirts that are often overpowered by shiny polyester only fit for a golf course. Criquet wanted something classic that could handle summer fun while easily transitioning into social settings. Here’s all you need to know. Grab your Players Shirt for $56 and save 25% on a classic summer throwback with promo code SUMMER25. The 25% off is available site-wide so you can grab button-downs, pullovers, sweaters, and more. Plus shipping’s free on orders of $50 or more.